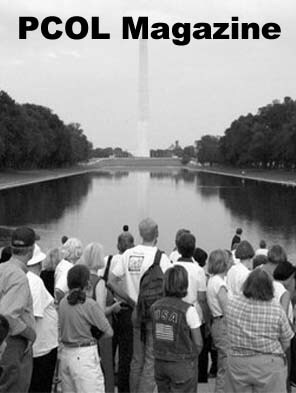 Read and comment on this article from In Context written in 1996 by first Peace Corps Deputy Director Bill Moyers on how individual freedom depends upon our participating membership in democracy. Suppose we acted as if the public was no fiction and we treated democracy as a two-way conversation. The truth is that Americans want to play a constructive role. They want places where they can learn and talk about issues facing them and their country. They want policy makers, the media, and others to hear what they have to say, and they need to know that if they participate, there is at least the possibility that they will be able to help create change. William Moyers was born in Oklahoma on June 6, 1934, and was raised in Texas. He began his journalism career at age 16 as a cub reporter on the Marshall News Messenger. Moyers established Public Affairs Television as an independent production company in 1986, and has produced more than 200 hours of programming including "In Search of the Constitution," "A Gathering of Men with Robert Bly," "Facing Hate with Elie Wiesel," "Listening to America with Bill Moyers," and "Healing and the Mind." "Trade Secrets," Moyers' most recent documentary report, is an investigation of the history of the chemical revolution and the companies that drove it. 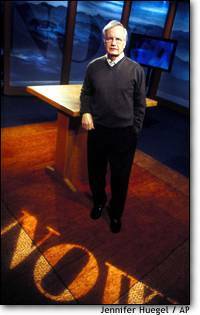 Five of Moyers' books based on his television series have become best sellers including: "Listening to America," "Joseph Campbell and the Power of the Myth," "A World of Ideas I and II," and "Healing and the Mind." During his 30 years in the media Moyers has received numerous awards for excellence, including the prestigious "Gold Baton" from the Alfred I. duPont Columbia University Award, and more than 30 Emmy Awards from the National Academy of Television Arts and Sciences. Two of his public television series, "Creativity" and "A Walk Through the 20th Century" were named the outstanding informational series by the Academy of Arts and Sciences. In 1991, Moyers was elected a Fellow of the American Academy of Arts and Sciences. In addition to broadcasting, Moyers was Deputy Director of the Peace Corps in the Kennedy Administration and special Assistant to President Johnson from 1963-1967. He was a trustee of the Rockefeller Foundation for 12 years, and has served as president of The Florence and John Schumann Foundation.